No one would ever know what lies behind those beautiful smiles and sparkling eyes if they just saw this photo. These girls have been through more than anyone should have to at their young ages, which helps these girls truly appreciate the present and their futures. They both have hope that a forever family will see them and want to love them unconditionally. 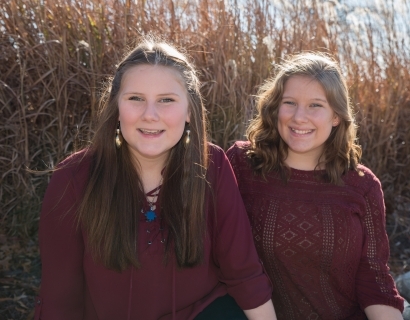 Despite all of the brokenness they have endured, these girls simply want a family to help provide them added guidance and support as they continue to learn ways to cope with the past that was placed upon them. This will be an ongoing process and right now they are making amazing progress. Are you the family that will open your heart to these girls? They want to open their hearts for you. To learn more about Taryne and Jaden fill in the inquiry below.